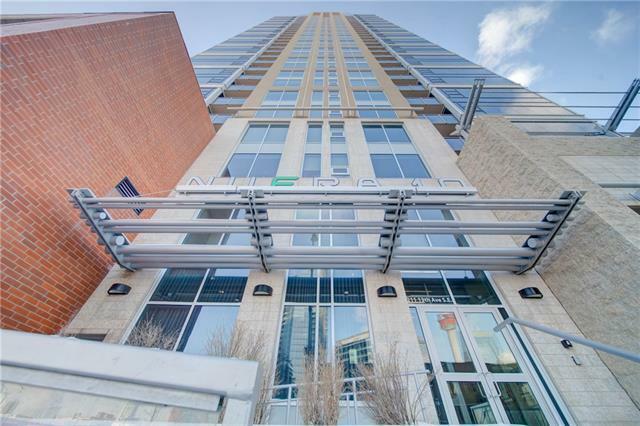 Welcome to one of Calgary's premier downtown high rise condo developments; The Nuera. 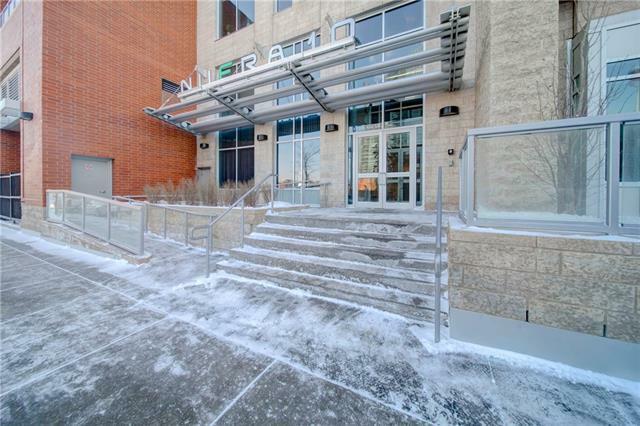 This corner/end unit has stunning floor to ceiling windows throughout offering sweeping views of the downtown core, East Village & the Stampede Grounds (front row seats to the fireworks)! At just under 1000sqf of high end living space, noteworthy features include, 2 large bedrooms, walk thru closet & 4 piece bath off of the master bed, full in suite laundry, in suite storage as well as assigned storage, titled underground parking, in floor heating, stainless steel appliances & an open style floor plan great for entertaining! 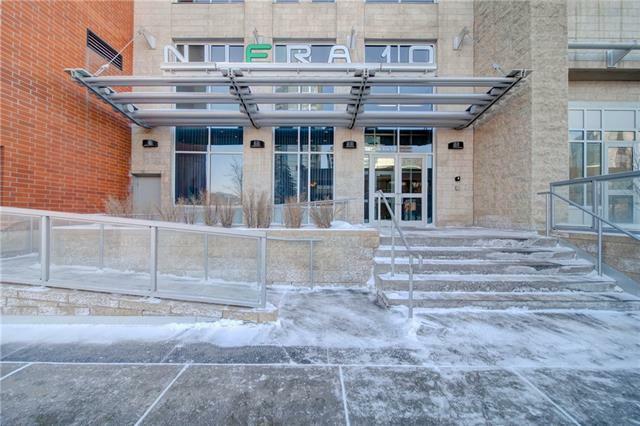 Nuera is situated right on the belt line & is a short walk to the new Calgary Public Library, Studio Bell, Saddledome, Repsol Center, 17 ave & Mission shopping districts as well as the downtown core, Bow River & Princess Island. 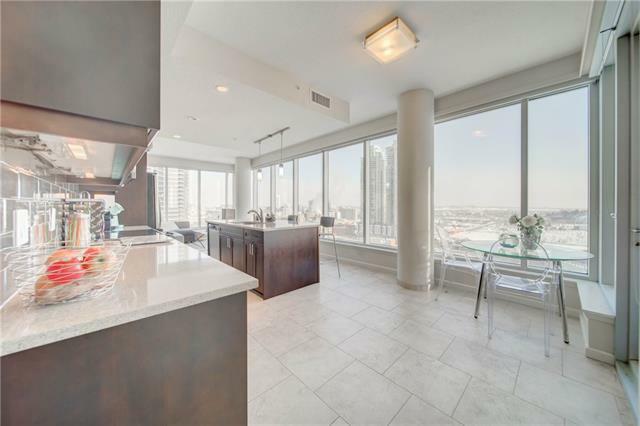 Enjoy the added luxuries of a full time concierge service & private gym facility available to all residents. Call today for a private viewing!